In 2009 I posted this example of the fact that Native American imagery is a matter of respecting someone’s heritage in North Dakota, not a “Hostile and Abusive” offense like the NCAA wants everyone to believe. Native American imagery is on the side of the State Patrol’s vehicles, on our highway signs…it’s an honor, not a dishonor. That’s why I was surprised this week to find the same sign inconspicuously changed to just the shape of North Dakota. No Hostile and Abuse™ silhouettes to get any pointy-headed liberals’ pantaloons firmly entwisted. How was this decision reached, and who made it? I’d love to find out. 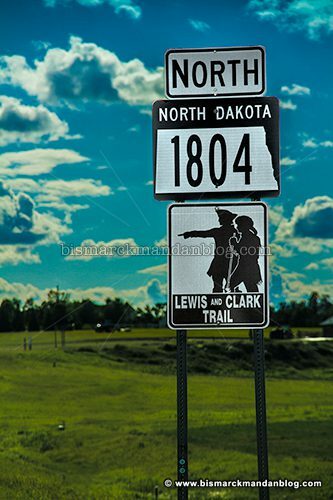 So, let’s see here…we’ve thrown the Fighting Sioux Logo back in the faces of those who gifted it to UND decades ago, we’ve quietly removed Native American imagery from the state highway signs…it’s almost as if North Dakota is ashamed of the culture and heritage of the indigenous peoples who reside here! Political correctness is tyranny. 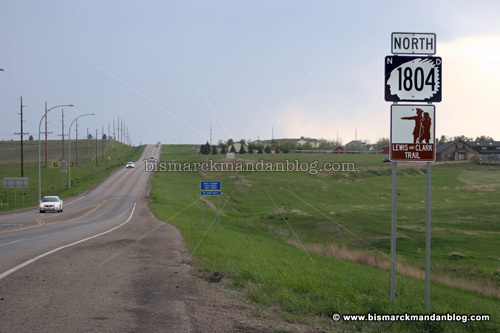 North Dakota has a long history of honoring the Native American people who live here. It was remarked by a tribal elder that “We went to a hockey game, and they talked about the courage and integrity of the Sioux people. We looked at each other like, ‘Wow, we don’t even honor our Sioux warriors or veterans like this on the reservation.’ ”. To banish all mention of these people for the sake of placating a bunch of liberal busybodies does more disrespect to the native people than any logo could ever do! How long do you suppose it’ll be until the State Patrol is forced to spend tens of thousands of dollars hiring some out-of-state company to design them a new logo? This entry was posted in Expository, Signs, Logos, Typos, UND Fighting Sioux by Clint. Bookmark the permalink.